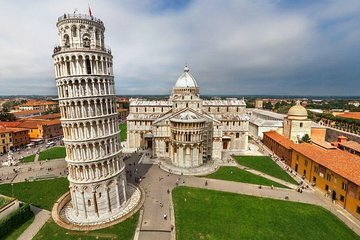 Explore the picturesque towns of Pisa and San Gimignano on this all-day tour from Rome. After a convenient hotel pickup, travel by private minivan with an informative English-speaking driver to the Tuscan countryside. Customize your own itinerary to include sites like the city’s iconic leaning tower, Piazza dei Miracoli, and the walled medieval hill town of San Gimignano. Then, enjoy a wine tasting included in the tour price.